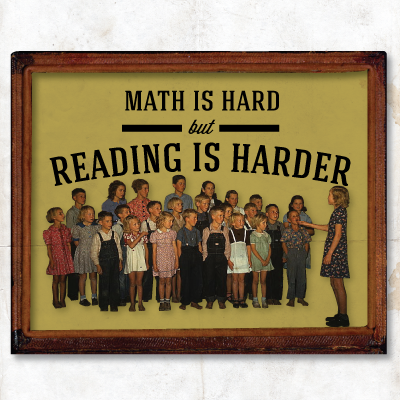 Why math scores are higher than reading scores. Education is on everyone's mind. As a nation, we are often concerned with how our math scores compare to those of other countries. However, evidence suggests that the bigger concern should be our reading skills. Look at the SAT. See the SAT scores drop. It may be time to reconsider the notion that "one-size-fits-all" isn't working in our schools. What do you think?